*SAP Mentor comments: One SAP Mentor comment on Barcodes in SAP with BWIPP can be found in the blog link above also another SAP Mentor listed the blog in"best blog picks 2010" here. Here is a video that covers the solution in 56 seconds. Live map below, showing countries that have downloaded the QR code device type only. Map produced using SQL Anywhere web services to consume the bitly api with D3JS and hosted on an AWS micro cloud. This Microsoft Excel demo needs to be viewed in FULL SCREEN - icon bottom right. The video demonstrates a call to a SAP demo server to generate a custom barcode. 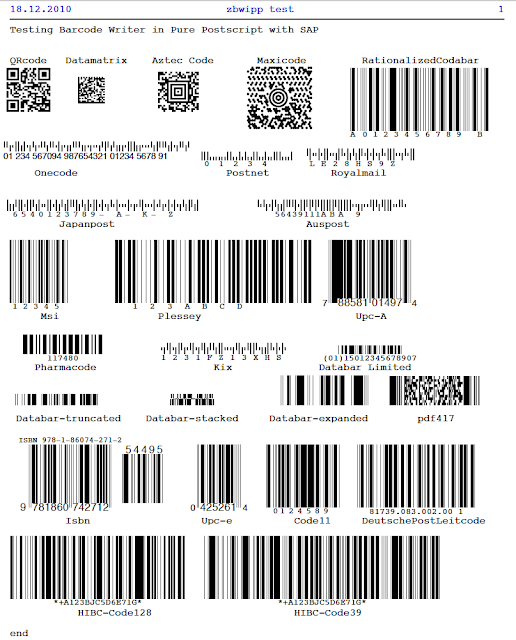 The type and content of the barcode relate to the values in the cells on the sheet. Demo only at the moment on a nw702 server.